Challenge: Elira is a promising medical startup using neurostimulation to control appetite with a non-invasive wearable device. The company reached out to us after falling flat with another development team. 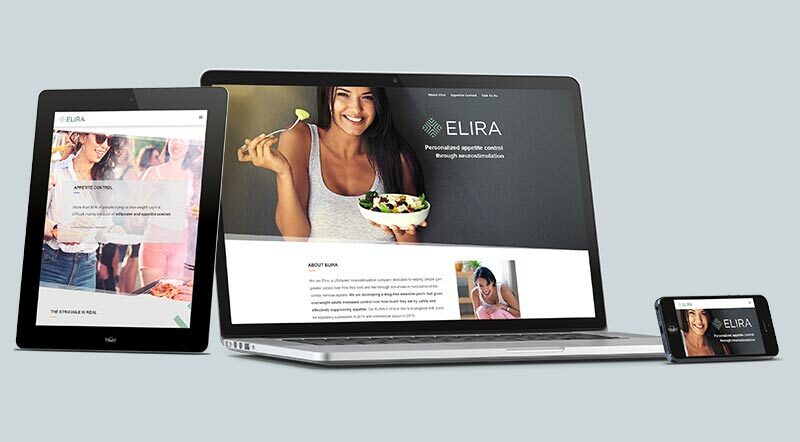 With a fast approaching meeting with investors, the Elira team needed a professional website in a hurry. Solution: We pushed a few things around and were able to expedite the design and development process on the Elira website. We worked closely with the team to create an elegant single page website showcasing Elira’s innovative technology. We kept a constant stream of communication with the team to ensure that the website was pixel perfect. We were able to complete the project quickly allowing the team to wow their investors while remaining on track with their projected timeline.